That the skin is known as our third kidney? Cellulite is a non-scientific term defined as toxic deposits of subcutaneous fat material and fibrous tissue that are not able to be eliminated and which cause a dimpling effect on the overlying skin. These deposits most commonly occur on the thighs and hips of women. Cellulite can affect men and women of any body weight or size. What causes the toxins? Well, some think that we store the breakdown product of cells as toxins in this subcutaneous tissue. Others think that toxic emotions can be stored in the subcutaneous tissue which then builds up as cellulite. Lymph is considered part of our immune system and is made of white blood cells called lymphocytes and the interstitial fluid that bathe our cells, bringing our cells nutrients and removing their waste. All detoxification occurs first and foremost through the lymph. Our bodies contain far more lymph than blood, so you can see how important this might be. Paavo Airola maintains that dry brushing is an essential part of any intestinal cleansing and healing program. Dry skin brushing helps shed dead skin cells, which can help improve skin texture and cell renewal. Dry skin is a sign of detoxification. Therefore it’s good to keep the process going by removing the dead skin daily. If this does not occur, a “log jam” can happen where the person ends up with eczema, psoriasis, and dandruff. 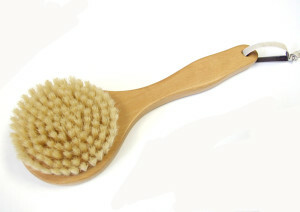 Dry skin brushing may reduce duration of infection and accelerate the clearing of toxins. 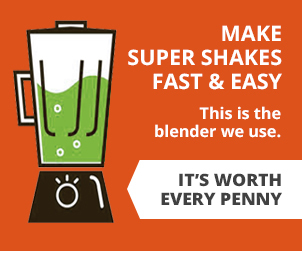 It helps support the immune system during cancer and other chronic illness treatment. By stimulating the lymph vessels to drain toxic mucoid matter into organs of detoxification we can purify the entire system. After several days of dry brushing, sometimes you may notice a gelatinous mucoid material in your stools. This is a normal sign that the intestinal tract is renewing itself. Best of all, it feels invigorating! 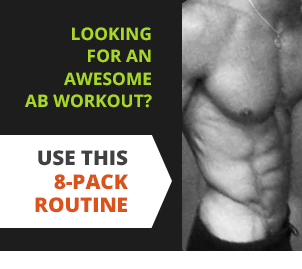 This will help all of the body systems perform at peak efficiency. The skin is your body’s largest organ. When improperly maintained, the elimination duties of the skin are forced upon the kidneys. Chemical analysis of sweat shows that it has almost the same constituents as urine. If the skin becomes inactive, its pores choke with millions of dead cells, uric acid and other impurities which will remain in the body putting extra stress on the liver and kidneys. People with big hips and thighs usually have low-grade bladder infections. Another sign of this is that the body gives off a distinct sickening odor. When the bladder and kidney are really sick, the calves are often swollen as well and the feet stink. So, give your kidneys a break—keep your skin clean and rejuvenated. Bathe daily and do a dry brushing before the bath to help stimulate blood flow to the surface so that toxins can more easily escape. It does this by increasing the flow of blood which, in turn moves toxins and lessens the appearance of cellulite. Our bodies make a new top layer of skin every 24 hours – skin brushing removes the old top layer, allowing the clean new layer to come to the surface, resulting in softer, smoother skin. Dry skin brushing helps muscle tone by stimulating the nerve endings which causes the individual muscle fibers to activate and move. It also helps mobilize fat and helps to even distribution of fat deposits. This is a great technique for invalids who can’t exercise. Our skin breathes! And yet, in most people, this vital route of detoxification is operating far below its capacity, because it is clogged with dead skin cells and the un-removed waste excreted through perspiration. Dry skin brushing increases circulation to skin, encouraging your body’s discharge of metabolic wastes. Increased blood flow begins entering the areas brushed and you will experience an increase in electromagnetic energy that permits you to feel energized and invigorated. By activating the circulation you can also prevent varicose veins. Dry skin brushing rejuvenates the nervous system by stimulating nerve endings in the skin. Dry skin brushing helps your skin to absorb nutrients by eliminating clogged pores. Healthy, breathing skin contributes to overall body health. When you brush, the pores of your skin open allowing your skin to absorb nutrients and eliminate toxins. Clogged pores are not just a cosmetic concern. Healthy, breathing skin contributes to overall body health. Thanks to droppinit100 for the awesome article. Try it out guys, you’ll be glad you spent the $8 on a brush. It’s invigorating first thing in the morning!